The Wisdom to Know the Truth & the Guts to Do Something About it! Susan K. Wehrley is the author of Gut Intelligence (GQ). She is a nationally recognized business coach and consultant for over 25 years. Susan has helped thousands of corporations, executives, entrepreneurs and individuals learn how to increase their Gut Intelligence by teaching them the same practice skills you will learn in this book. 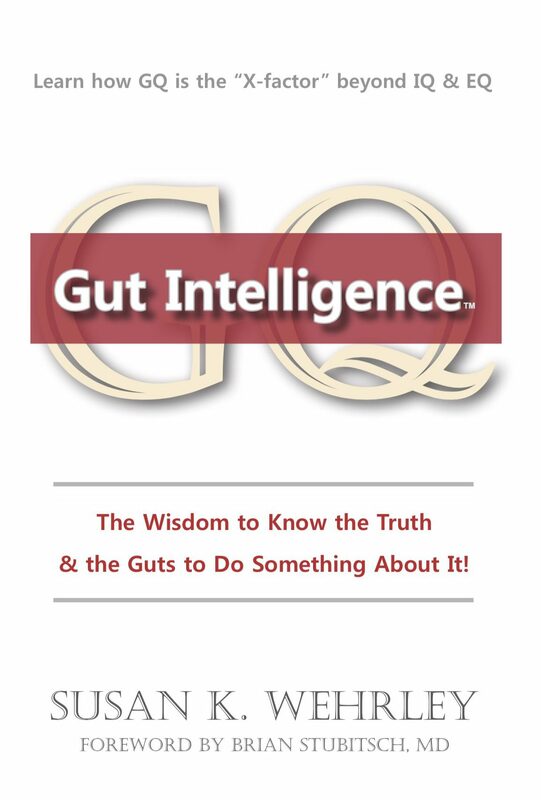 In Gut Intelligence, you will learn why GQ is the missing piece to IQ & EQ. Science now tells us we have three information centers that we call “brains”–the gut brain, the heart-brain and the head-brain. But how do each of these brains work, and how might they work together for better decision-making?